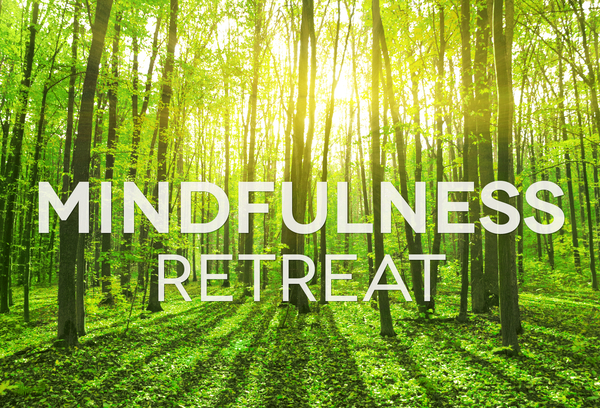 MINDFULNESS RETREAT is where you can feel safe to ponder, reflect and become willing to let go. Each session will have it’s own focus. May 19 Retreat is focused on Mindfulness and Forgiveness. Forgiveness is often one of the hardest things to do. Even the kindest, most forgiving person may have one grudge that is not easy to let go of. The pain that has been caused may be tremendous to let go of. Forgiveness, however, is at the foundation of our happiness. Lack of the ability to fully forgive reduces the possibility of experiencing true and lasting happiness. The half-day retreat offers the opportunity for practice and more practice in a safe, calm and peaceful environment. The Mindfulness & Forgiveness retreat will emphasize on the understanding of pains we have caused or been exposed to. How holding on to these painful experiences are an obstacle to feeling at ease. With the guidance of a most compassionate teacher, attendees find the light at the end of the tunnel and the pathway to letting go and the possibility of freedom from having to carry the burdens of life. We will practice sitting and walking meditation, Mindful movement, Mindful eating, Loving/Kindness, reflection and contemplation. Take a day and cleanse your mind and heart from irritation, dislike, resentment, anger and sadness. All are welcome. Ages 14 and older. Silent day of mindfulness – includes periods of meditation, walking/movement; although the day is mostly silent, appropriate time is given for instruction and discussion. Requests must be made 7 days in advance of the date of the retreat. A $25 administration fee will be assessed. Perfectly Here reserves the right to cancel events due to low enrolment. Registrants will be notified in advance of the class. No refunds or credits are given to registrant “no-shows”. Postponing a Retreat: Credit towards a future retreat will be provided if a registrant notifies us by phone or email 72 hours in advance of the day or retreat. Using this credit must be for the one immediately following the missed retreat. NO EXCEPTIONS. (for example: if postponing a May retreat, you will have to use your credit and enrol in the June or the retreat offered immediately after May. Cost: $45 for half-day and $88 for full-day. You can register for any and all dates available now.